Lately, I’ve been having a lot of trouble getting my kids to eat a healthy breakfast. They are tired of our usual breakfast staples, and it’s too hot to want a steaming bowl of oatmeal during these summer months. So I came up with an easy breakfast idea that is a little out of the box and super fun for my kids to eat: Yogurt Cereal Bark. With the good protein from the yogurt and the vitamin-fortified cereal, your kids are going to get some good nutrition to help them have the energy to enjoy their busy summer. All you need to make this yogurt cereal bark is yogurt and cereal, in whatever flavors you like. You’ll want to pour the yogurt into a sheet pan, which is lined with wax or parchment paper. 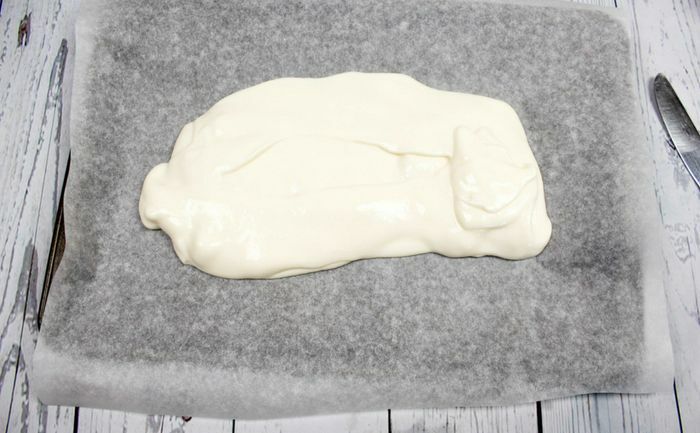 Spread the yogurt into an even layer so that it covers the pan. Next, just sprinkle the cereal pieces evenly over the yogurt. Pop the sheet pan into the freezer for about 2 hours, or until the yogurt is completely frozen. Break the bark into pieces and let your kids enjoy while watching their morning cartoons. 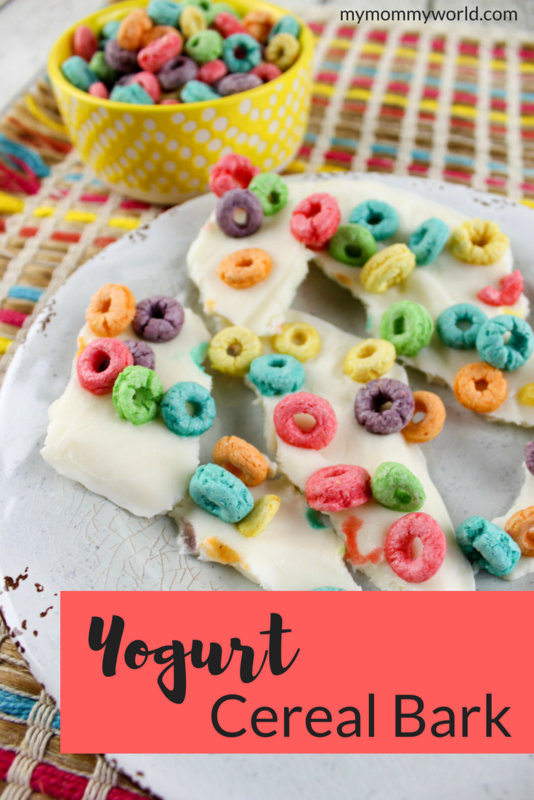 This frozen yogurt bark is so easy to make and you can completely customize it too! 2 cup Vanilla Yogurt You can use whatever flavor you want - strawberry or try Greek yogurt too! Pour 2 cups of yogurt on the parchment paper. Use a knife to smooth it out. 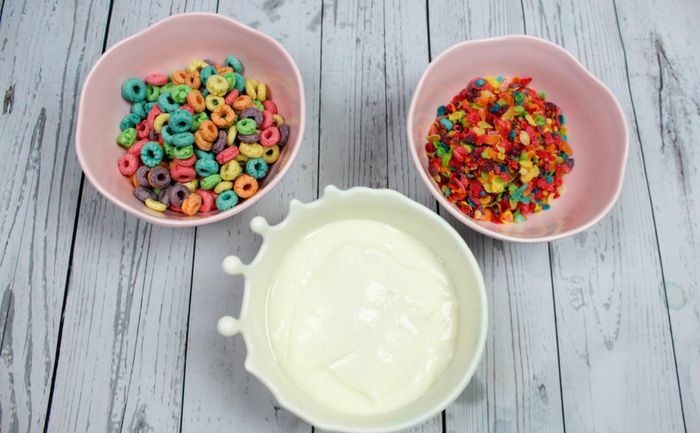 Sprinkle the Fruit Loops on top of the yogurt evenly. Love easy breakfast ideas like this? Why don’t you try out these Quick and Easy Breakfast Ideas or my Berry Yogurt Breakfast Pops? That sounds like a really fun breakfast especially for the hot summer days we’ve been having lately. Not sure my teenagers would go for it but I may have to try it for myself! What a great breakfast for the little ones! Hope you are having a great week and thanks so much for sharing your awesome post with us at Full Plate Thursday!